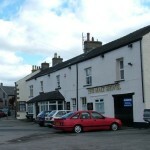 Trying to find pubs in Carnforth? You’ve come to the right place. We’ve got every pub and bar in the UK listed. 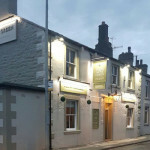 Whether you’re looking for a pub or bar in Carnforth to play darts, somewhere to play pool or just want to have a look at a menu before you go, we can help. 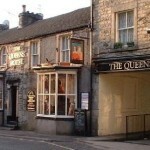 Queens Hotel in Carnforth serves real ale. Carnforth & District Ex-Servicemen's Club in Carnforth has a car park. The pub has an outside area, it serves real ale. 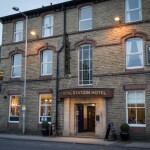 The County Lodge and Brasserie is situated in the heart of Carnforth, 5 minutes from junction 35 M6. Our comfortable and affordable accommodation is designed to suit everyone’s needs – from families and couples through to independent travellers. Shovel Inn in Carnforth has a beer garden. The pub has a car park, it gives a warm welcome to dogs and their owners. Shovel Inn is a family friendly pub. The pub serves real ale, it has a real fire. Shovel Inn has free WiFi. The pub has a dart board, it has a pool table. 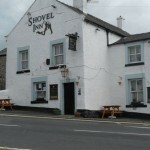 Shovel Inn is a member of Cask Marque. 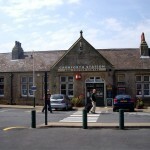 Royal Station Hotel in Carnforth has accommodation. The pub is a family friendly pub, it serves food. 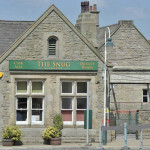 The North West's original micropub, opened August 2012 offering cask ales, wines, gins, ciders and soft drinks. Welcome to the newly refurbished Taps on the Green. 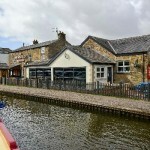 Canal Turn in Carnforth has a car park. The pub serves food, it has an outside area. Malt Shovel Inn in Warton has a beer garden. The pub has a car park, it gives a warm welcome to dogs and their owners. Malt Shovel Inn is a family friendly pub. The pub serves food, it has an outside area. Malt Shovel Inn serves real ale. The pub has a real fire, it has a smoking area. Malt Shovel Inn has free WiFi. The pub has a dart board, it has live music events. Malt Shovel Inn has a pool table. The pub holds quiz nights, it has a big screen. Malt Shovel Inn shows cricket on TV. The pub shows football on TV, it has the Racing Channel. Malt Shovel Inn shows rugby on TV. The pub has terrestrial TV. George Washington in Warton has a beer garden. The pub has a car park, it has disabled facilities. George Washington gives a warm welcome to dogs and their owners. The pub is a family friendly pub, it serves food. George Washington has an outside area. The pub serves real ale, it has a real fire. George Washington has a dart board. The pub has live music events, it holds quiz nights. 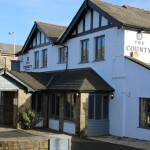 The Eagles Head is a welcoming country pub situated in the village of Over Kellet just 2 minutes from junction 35 of the M6 motorway and 20 minutes from the heart of The Lake District. 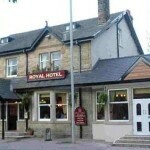 Royal Hotel in Bolton le Sands has accommodation. The pub is a family friendly pub, it serves food.